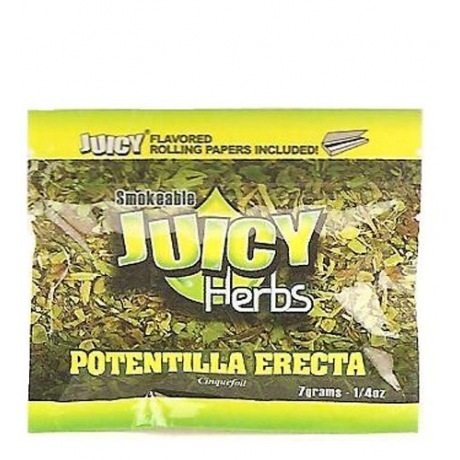 7 grams (1/4 oz) of cinquefoil smokeable Juicy Herbs. Potentilla erecta has long been a symbol of good luck. Includes a free pack of Juicy Jay’s flavored rolling papers in each resealable pouch. Ready to smoke!